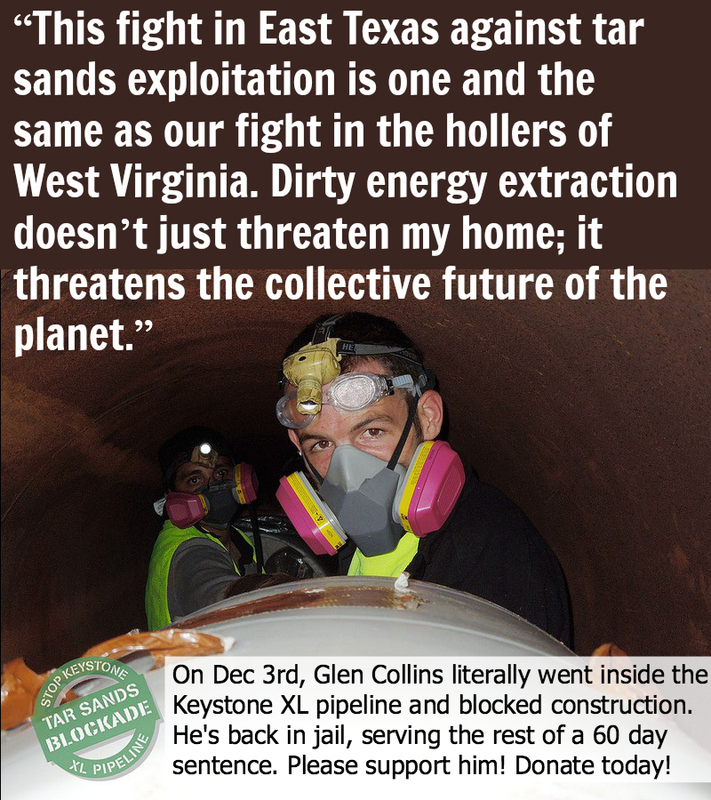 This entry was posted on Wednesday, April 24th, 2013 at 11:52 pm	and is filed under action, jail support, Solidarity, Tar Sands. You can follow any responses to this entry through the RSS 2.0 feed. You can leave a response, or trackback from your own site. That’s amazing! I think this is one of the best actions I have ever seen occur as a protest concept! Truthfully one of the most bold and creative actions I’ve seen in the Tar Sands Blockade campaign. I understand Glen to be charismatic and goofy, keeping things in a little more positive light in these dark times. My best wishes to him and eco warriors everywhere. Solidarity.